The following case study was provided by Shelagh Toonen, Librarian at Elgin Academy. The library, as part of National Digital Learning Week in 2016, helped to highlight and publicise some innovative and exciting ways in which digital technologies are being used to support learners. During Digital Learning Week, the library launched Nibbles and Bytes. All pupils were invited to visit the café and learn how to make games, animations and join in with the Magnificent Minecraft Workshop. Pupils enjoyed the café’s activities, including magazines, books and biscuits and everyone had a great time dropping in and logging in at Nibbles and Bytes. Ian Ord, PT Business Education and Digital Literacy, Elgin Academy. Rebecca Thorne. 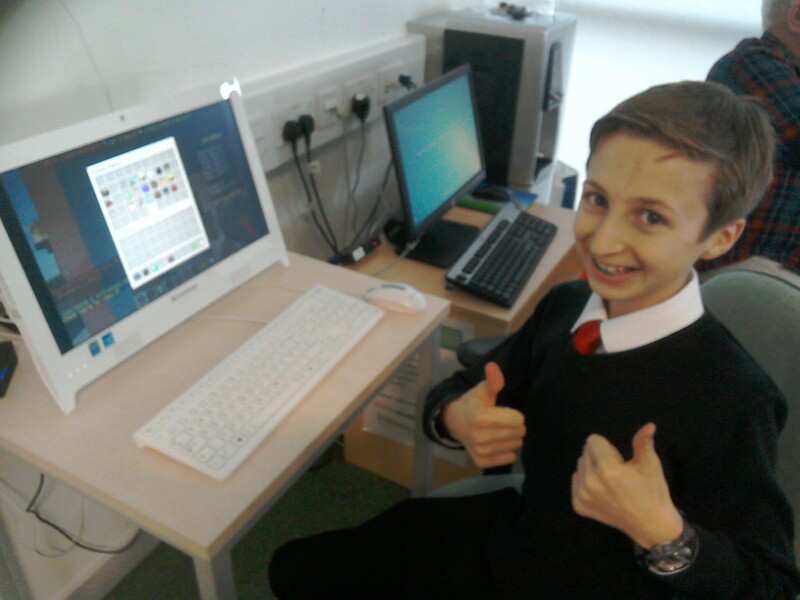 S2 pupil, Elgin Academy.